Good morning Sweets, i wish y'all a great week ahead. Its Monday, and that means time for some motivation as usual. Today i'm sharing a celeb story. This isn't news anymore though but, i feel the need to share since i post celeb stories sometimes. Her name is Mo'Nique. I admire her, when she was bigger, she carried herself well. She didn't let the weight stop her. You've always known her as a beautiful voluptuous lady yes, for many years, she was an advocate for 'big' girls, remember "fat and fabulous?". Never the less, most of us get to a point in our lives and we know its time to make a change to better our lives and health. 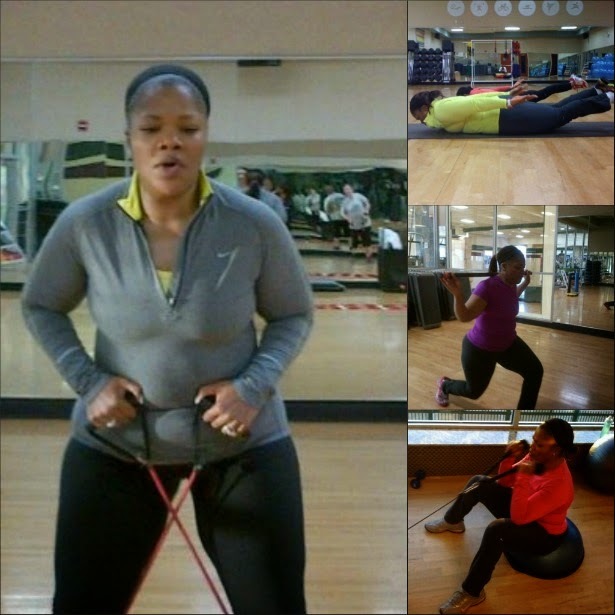 "Take time to change your health. Mental, physical and spiritual, LIKE YOUR LIFE DEPENDS ON IT"_ Mo'Nique. 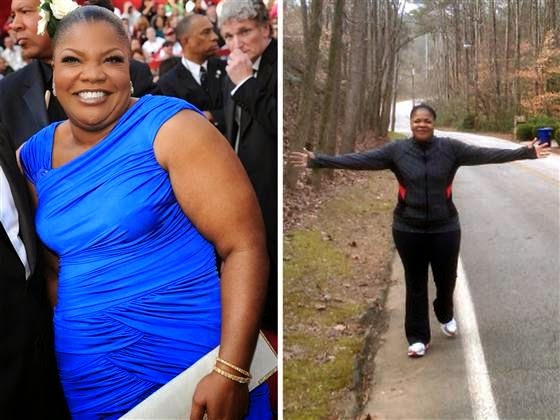 Her motivation came when: (she was speaking with Oprah) She said "I was comfortable at 262 lbs." 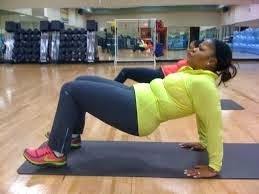 She says: " I got a wake up call when one day i was admiring my self at 262 lbs in front of the bathroom mirror, when my husband (Sidney Hicks) came out of the shower and asked me 'Mama, how much do you weigh?' I said: '262' And he said, 'Mmm.'" Mo'Nique says she knew something was coming next. "He said to me in the most gentle, loving way, 'I want you for a lifetime,'" she says. "Baby, I started working out right then." She was also informed by her doctor that she had high blood pressure. 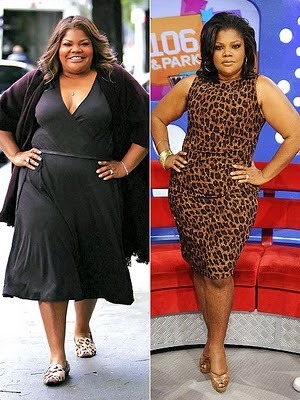 She lost a total of 82 lbs (about 37 kgs). 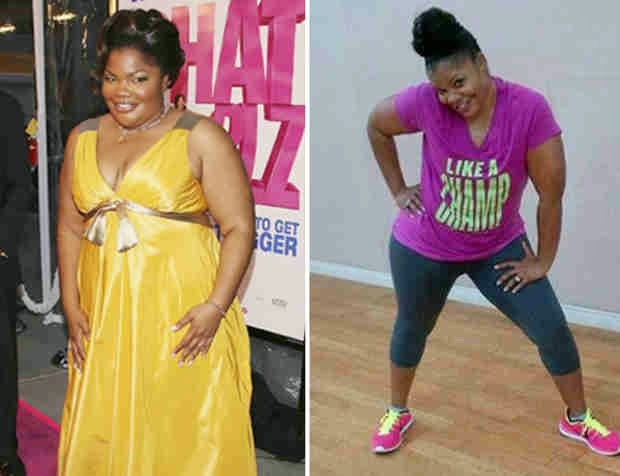 She did it all through serious workouts, dancing and eating right. 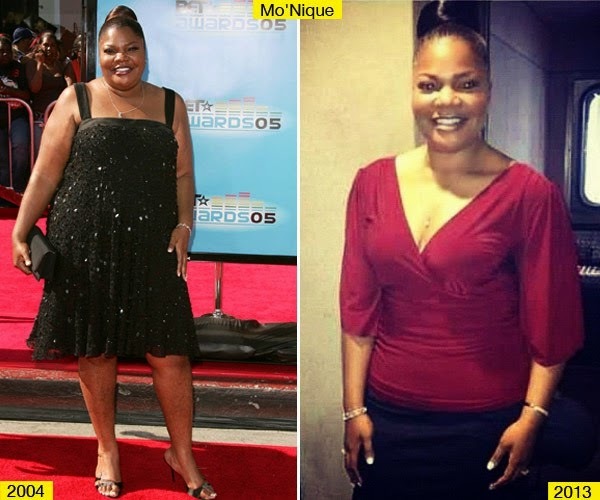 She made different food changes, drank more water etc. My Opinion? I don't care if she is a celebrity or not, she has done an awesome job despite her age. We are all humans and it takes a lot for one to make up his/her mind to shed weight. Congrats Mo'Nique and please keep looking fab! So sweets, i hope this was motivation enough? it is for me. I get fired up each time i read stories like this. I never want to stop living, i keep going, i keep pushing. Don't let your age or size or financial situation stop you. Make up your mind and do it today. What do you think? God bless. Hi Onyinye. They are both great for weight loss but, sweet potatoes r preferred because they contain more fiber and are lower in glycemic index. They also contain beta carotene and contain more vitamim A. I actually prefer sweet potatoes, mostly cus of the taste and texture. Hope that helped? Take care. Good Morning Cheliz, Yeah. nice motivation to kick start the week. Still hanging in here oooo. Hahahahahahahah, I did 15 squats on Saturday and it was like I was going to faint and lose my knees at the same time. My dear you will lose the weight. You already have the No 1 requirement which is determination. Dont count 10 secs after each squat na, dats too slow. Do 20 then rest for 1 min, go another 20 like that till u finish up. Am loving your spirit dear, dont let anything stop u.
Chy dear, aww, dont be angry my luv. The kids can have it, dats no problem. Sweetie so sorry I cant post meals na, dat na expo. Lol. I can send you a weeks meal plan at a small cost. Call me so we can talk. Take care. cheliz hunie, please I need sports bra, do you still have in stock? Engee dearie, yes I do o. Pls chat txt me ur size again. Thanks a bunch. Oh Cheliz... I feel so bad right now...just when I thought I've gotten it right today... Having drank 6bottles of water.. Had green tea laced wit lemon and honey + 2slices of wheat bread for breakfast, 1mango,half cucumber and 2banana for lunch and unripe plantain pepper soup for dinner.. Snacked on a handful of nuts... The devil just carried my hand to d fridge to hv strawberry cookies. I'm so upset..I just feel like I've spoilt everything. *sigh* Amanda. Dear cheliz, I told you last week that I gained 2kg. Am happy to report I have lost it. I went on three days cleanse again. Increased my work outs. After the cleanse I have been eating black soup with fish and chicken and lots of fruits. I feel great. My goal for this month is too lose 6kg and am all fired up. Thanks hun. Hi Abbie, am happy for you dear, you did it! Sure you can hit 6kg this month if you keep working hard. I know there are different kinds of black soup, which one exactly did you try. Pls share the recipe. Thanks and take care.